1 dribbles at 2 who makes a shallow cut. 2 curls around 5 on the high post. 3 dives down to the ball side corner. 1 reverses back to 2, both 5 and 1 double down screen for 3 who cuts hard looking for a jump shot. 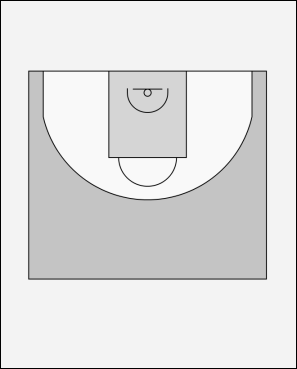 2 also has the option of passing into 4 in the opposite low post.